This book has me so torn. The hype around it has had me excited for it for months and and I even tore through Code Name Verity once it arrived to be able to get to it faster. I wanted to love it. I expected to love it. In the end… I only liked it and also found myself slightly annoyed which is not the way I thought I would feel. I will be the first to admit that I looove a good girly story. They are my bread and butter. My BFF Nicole over at Nikolieohlieoh would text me every day as she was reading this and tell me how much she was loving it, so I had quite high hopes. This is starting to sound like a rant so let me be clear: I did not dislike this book – I liked it, I just did not love it. I would still probably recommend it and I would probably read it again some day. There were parts that made me swoon and there were some likeable characters. But I found Willowdean to be quite annoying (as a lot of teen protagonists are let’s be real) and I honestly did not like her love interest very much. I actually thought there was someone else much better suited for her but I suppose the heart wants what it wants, right Selena? The synopsis makes you think that the bulk of this story would be about Willowdean’s experience in the pageant but the pageant doesn’t happen until like the last 15 pages. I won’t say much else because I am not a fan of spoilers, but I thought this book just did not live up to the hype around it. I know I’m probably in the minority here – what did you think? 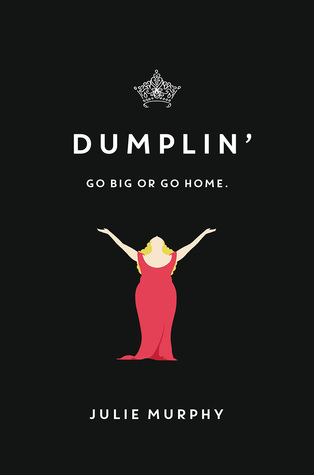 Did you love Dumplin’? Yeah my thoughts exactly on Willowdean. It’s a story about not judging people so quickly and so harshly, yet she instantly judges everyone around her. Like calling Millie even fatter than she is, etc. Got old real quick.